In this term, our grade 2 held an interesting ball sports festival, to celebrate finishing our final exams. All the students went to a gym in Kaminakazato, which is a few stops on the train from our school. According to the plan, we were supposed play volleyball and basketball, but unfortunately that there was no time for basketball in the end. 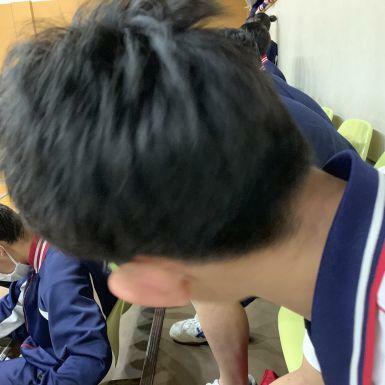 Although we couldn't play basketball, the volleyball play really satisfied us a lot. I lost two of my tournaments, but the matches were still unbelievably enjoyable. One team in my class was champion of volleyball, so my class was very fortunate. We got some presents from my school, such as soft drinks and donuts. If there is another chance, I'd like to attend this ball sports festival again.